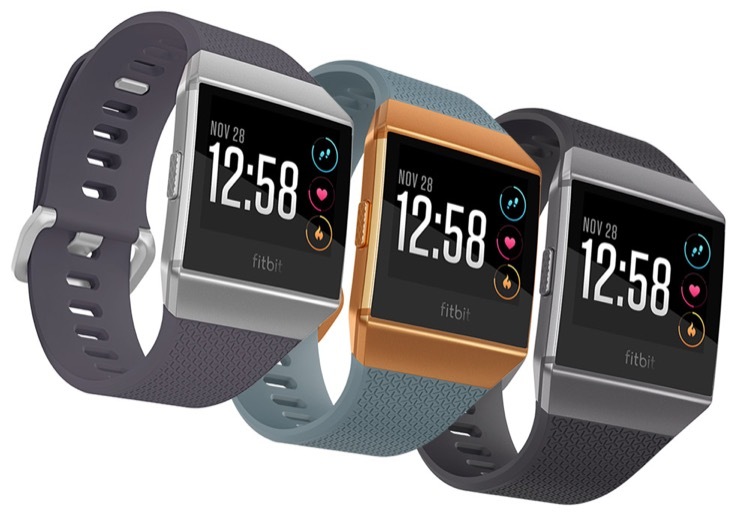 The Fitbit Ionic is available in three colors. Basic summary: Fitbit’s top of the line activity tracker/fitness watch is an update to the prior Surge GPS model that was aimed toward more serious runners. The Fitbit Ionic offers a load of improvements and new features the Surge lacked, but it hasn’t become much more advanced in its functionality as a running watch. The Ionic does retain Fitbit’s remarkable user friendliness and highly dependable connectivity – including two-way data transfer with Strava – and is one of the most comfortable GPS devices you’ll wear. It’s ideal for moderate volume training and activity tracking during the week, but you’ll need to switch to a more robust watch for your longer weekend outings. Two-way Strava integration: info goes from FitBit app to Strava, and data that is uploaded to Strava from other devices goes to FitBit app. 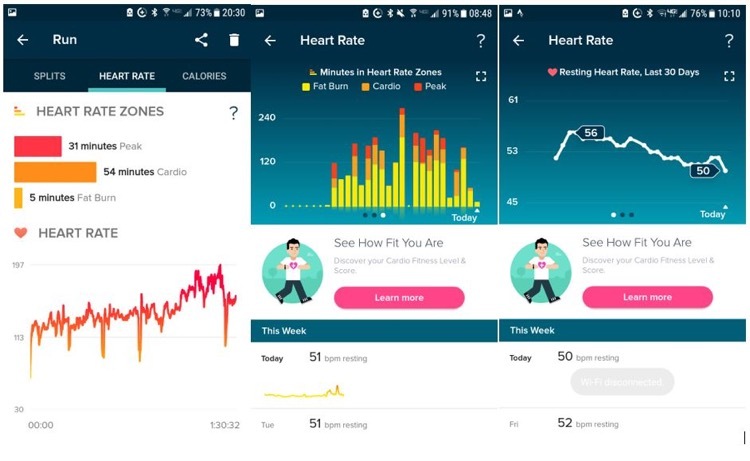 When we tested the Fitbit Surge in early 2016, it represented the leading edge of a very promising space: the intersection of full-feature exercise watches with intelligent activity trackers into a single, one-gadget-does-all sweet spot. The Surge was a respectable running watch and a compelling activity tracker, and while there was room for improvement in both areas, it was easy to see the potential that Fitbit was working toward. App dashboard and activity details. The Ionic has now replaced that watch in the Fitbit lineup, and from an activity tracker standpoint, it’s simply impeccable. It combines wrist-based 24/7 heart rate monitoring with calorie tracking and sleep metrics to provide a wealth of fitness analysis – and the more you use it, the more refined and accurate that data becomes, so customized goals and workouts can become highly specific to your individual needs. The Ionic is also a full-fledged smart watch, which opens the door to cool add-ons like third party apps; you can buy a coffee at Starbucks and read the New York Times all from your watch if you like. It has internal music storage and a built-in Pandora app to stream your playlists directly to any Bluetooth headphones or external speakers. Sport band option with increased perforation. From a stylistic standpoint, the Ionic is also beautiful, with a slim, sleek, lightweight design that makes it easy to wear around the clock. 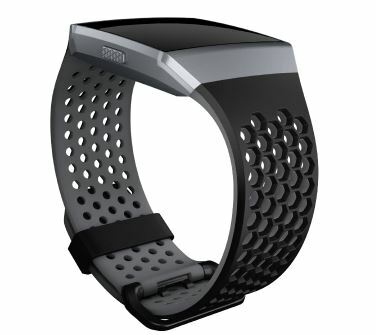 If for some reason you don’t like the standard wristband, you can upgrade to a more highly perforated sport band (for $30) or an upscale perforated leather band ($60). The watch face uses high resolution and full color LCD that allow rich graphics, and the home display can be customized from one of several options made by Fitbit, as well as an ongoing collection of options from third party apps. Unfortunately from a runner’s standpoint, it appears that all of the upgrades to the Ionic went into the activity tracker functionality of the Ionic. In comparison to the previous Surge device, the Ionic operates almost identically – actually, slightly worse in one aspect, which we’ll get to shortly. We suppose the “glass half full” viewpoint is that if you liked how the Surge worked as a running watch, you’ll still like the Ionic. For example, GPS accuracy is still outstanding, and is comparable to watches that will cost you hundreds of dollars more. Fitbit advertises an “industry leading GPS,” and while it’s not clear exactly what substantiates that claim, we’ve found no appreciable difference in satellite location speed or accuracy of tracking during our testing compared to high-end GPS devices. The Ionic has a three-row data display while running, each of which is variable; this is an upgrade over the Surge, where the top and bottom lines were fixed. You can select a default display (typically distance) for the middle line, and during exercise you can scroll through all of the options listed in “real time performance stats” above. There is actually quite a lot of information tracked on the device which is NOT available to display when running; most notable among them is altitude metrics. It’s only after a workout when your run is uploaded that you can go back and see elevation gain, max elevation, and so on. Another quirk is the use of “cues,” which is Fitbit’s term for split times. Cues can be set to be taken manually (such as for a track workout), or automatically at set intervals. However, the default automatic interval is 0.5 miles, so if you’re like most runners and want your splits taken per mile, you have to adjust the settings that way before every single run. 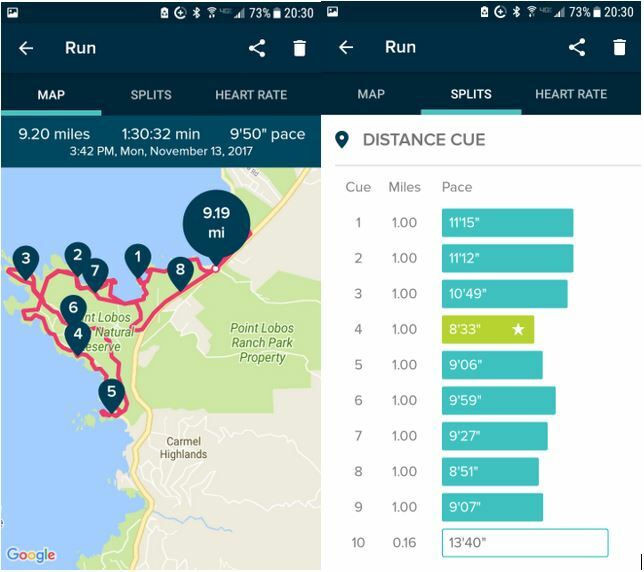 Most frustrating of all, when you do set the cues to record at every mile, the time that appears on your screen at each mile interval isn’t the elapsed time for the interval – it’s your current average pace per mile. The Ionic only allows one display screen, so you’re limited to choosing three of the relatively narrow list of options that you want to view while running. Viewing the display while running presents an important decision related to battery life. Remember that full color, high-resolution display we described? It burns a ton of battery life when combined with GPS tracking. So you have two options: 1) only allow the watch face to display when a button is pushed, or 2) keep the display available at all times like a regular running watch, and burn through a lot of battery life. Fitbit claims the Ionic has a battery life of 10 hours on GPS mode, but that’s only if the display is in battery-saving mode; when we’ve tested it while keeping the display on, it dies right around the three hour mark. This is a noticeable downgrade from the Surge, which was dependable on GPS setting for at least six or seven hours. Aside from the battery life concern, the idiosyncrasies of the Ionic as a running watch are particularly frustrating because they seem like they could be easily addressed. One good software update could at least fix the cueing mess, make altitude information available at the wrist, and probably even add a second display capacity. The battery issue will always be there – and you won’t know how much you miss a constant display until you don’t have it – but there’s a practical work around for those of us who already have large do-everything navigation watches. You can wear your Fitbit for day to day training, and switch to your mega-watch for long weekend outings. When that data (mileage, steps, calories, HR info) from your other watch is uploaded to Strava, it will then flow back to your Fitbit app – so you have all that information available for your cumulative health and fitness assessments. Left to right: Exercise HR zones, monthly HR zone trend, resting HR trend. Daily, weekly and monthly sleep metrics. It’s important to note that when it comes to the “back half” of the watch-app relationship, Fitbit is second to none. Exercise information uploads immediately after the end of each activity, and the continuous sync function is the most reliable and consistent we’ve experienced from any brand. It’s extremely rare to encounter errors with connections or syncing – including during the initial set-up process – and the app interface is very intuitive, easy to navigate, and quick to load new screens. 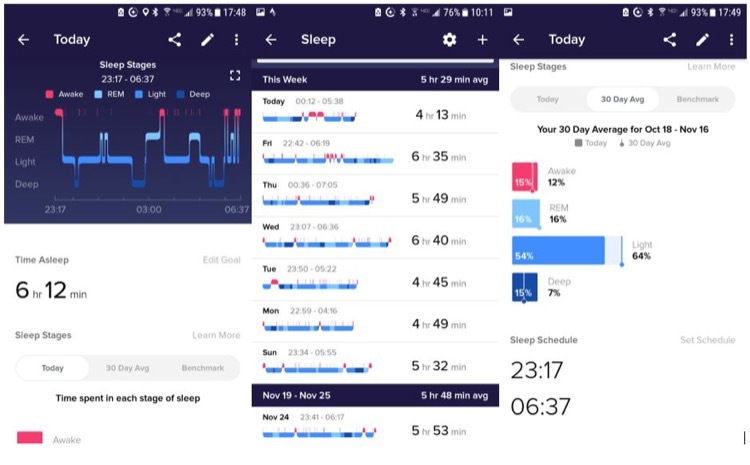 Inside the app, the ability to track and analyze your sleep and HR zones over an extended period of time gives you great insight to your overall fitness level, which is also calculated for you based on your activity and resting data. 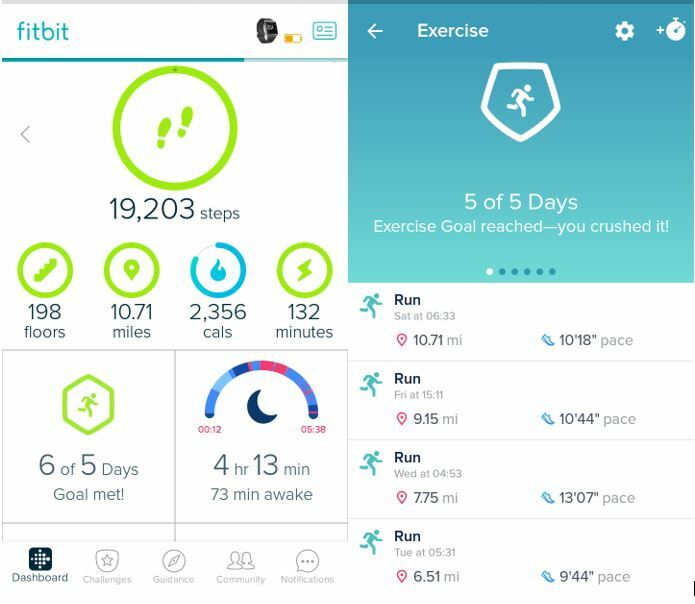 Other companies and apps will offer more features, but none of them match the Fitbit interface for convenience of use. The Fitbit Ionic is now available at www.fitbit.com and numerous other retailers. The Fitbit Ionic is the ideal watch if you’re serious about fitness. It’s accurate at tracking steps and distance, and has built-in GPS so you can track a run without having to take your smartphone with you.